In a content-obsessed world, it can be tricky to create material that stands out from the rest. Luckily, this course will teach you how to create quality content that attracts attention. One of the best ways to optimize content is through videos and podcasts, so you’ll learn all of the technical aspects involved, as well as how to develop a clear target audience. There are countless opportunities to make money on YouTube by creating your own videos, and this course will help you take advantage. Start with the basics, like how to pick out filming equipment and upload videos. Next, discover how to create thumbnails and tutorials, utilize SEO tactics and Google AdWords and remove and follow up on copyright strikes. In an effort to join Twitch and YouTube as a top community for gamers, Facebook recently launched FB. GG. During this course, you’ll become confident in film production, studio setup, and public speaking. You’ll also learn how to stream your PC, Xbox, and PlayStation while gaming on FB.GG. Social media influencers have become an integral part of our culture and advertising. This course covers 42 secrets of influence that will help you build and maintain a following. So whether you’re trying to build your own following or another brand’s, you’ll walk away with some valuable secrets. In this course, you’ll learn tips and techniques to immediately apply in MailChimp, LeadPages or any similar software. Follow along with a case study to learn proven ways to collect email addresses and engage in a successful relationship with your list. This SEO crash course will teach you what really works in the world of inbound marketing and content creation. Learn how to convert leads on Google and YouTube into customers and build a self-sustaining business from it. Live streaming is an effortless way to interact and engage with your audience, but you have to know what you’re doing. This course covers how to show up and maintain interactivity on multiple platforms at once. You’ll become a pro at using Restream and learn how to set up chatbots. If you’ve always wanted to host an experience or event on Airbnb, now is your chance to learn. This class focuses on the skills necessary to create an experience, submit it for approval, and start getting clients to book. 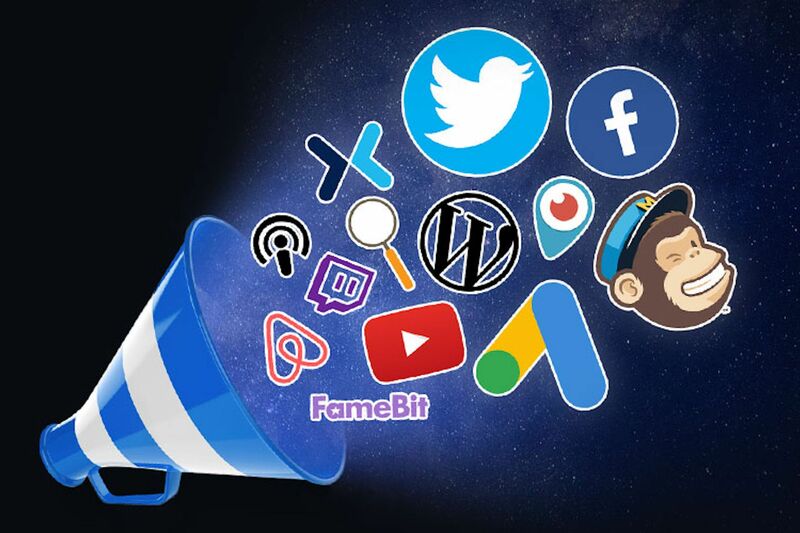 This course will teach you how to use Famenbit, the influencer marketplace where creators connect with advertisers to produce branded content. You’ll learn how to negotiate deals and connect with influencers for commercials, reviews, testimonials, and more. Google AdWords is an essential tool used by entrepreneurs and marketers everywhere. This course will walk you through how to create campaigns in real life, make adjustments for campaigns that do not convert and focus on conversions, instead of unrelated data. Ready to take your career to the next level? Snag this jam-packed bundle for only $ 29 today.